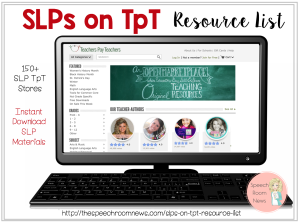 Last week I was chatting with ome other SLPs who are introducing Social Thinking programs for the first time. The big question was… where do I start? In past years, I’ve introduced a few concepts at a time as I added students and formed groups. This year was a little different since I’m starting with all new kids in my new district who aren’t familiar with the program. 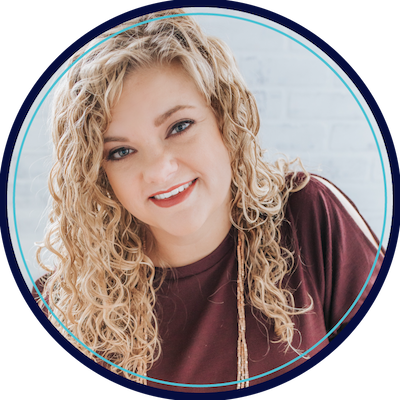 In case you aren’t familiar read my posts about the Social Thinking Curriculum by Michelle Garcia Winner to get caught up! In all my groups (1-6th graders) this week I started with the book You are a Social Detective (Amazon Afflilitate Links included for your convenience below!) This book is the PERFECT introduction. It’s in comic book form and discusses the underlying vocabulary you need. Some kids will stay at this level for a while, while older kids might move on to the Superflex Curriculum pretty quickly. At the beginning of the Social Detective Book, there is an emphasis on different kinds of ‘smarts’. 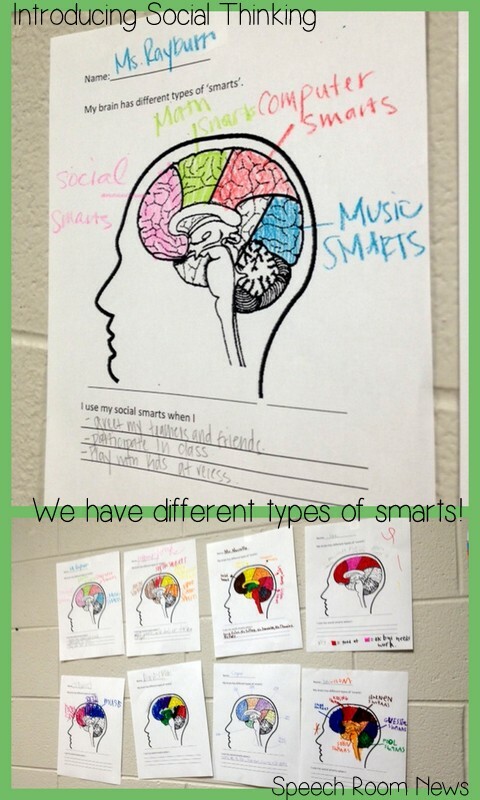 School smarts, musics smarts, social smarts, etc.! I find it great way to talk about the need to work on social skills, especially when kids are resistant to talk about their weaknesses. I had them write two strengths and two weaknesses. I just found a brain picture and drew some lines throughout it. The kids decided which kinds of smarts they each had! I orded these stress balls this year for our group. 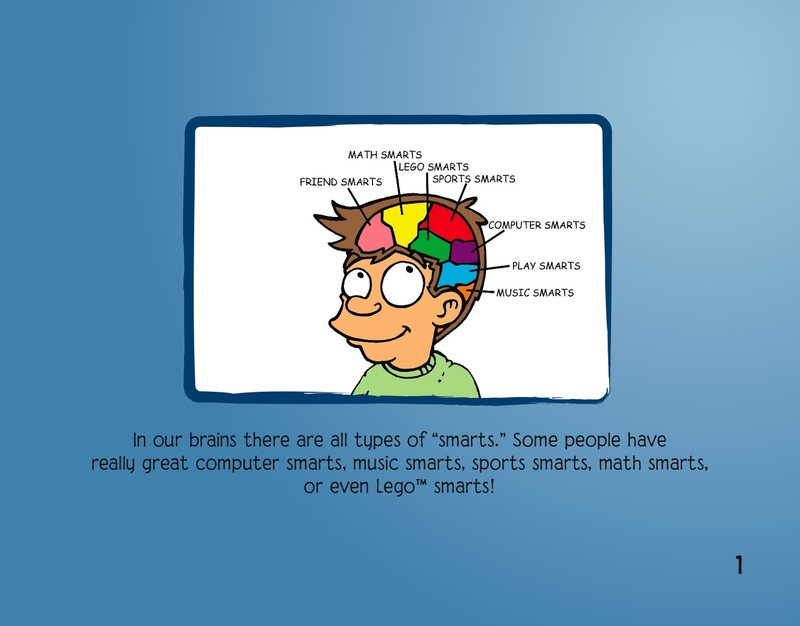 I love that they are multi-colored like the different ‘smarts’ in our brains! 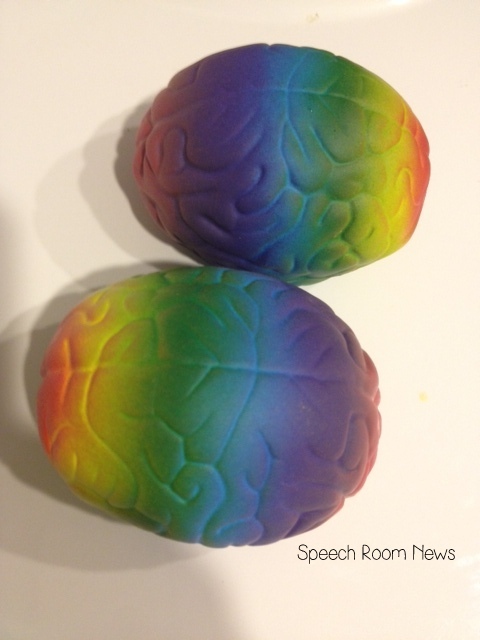 These will make great fidgets, great models of our different smarts, plus they are flexible for our ‘flexible vs. rock brain conversations’ later down the road! 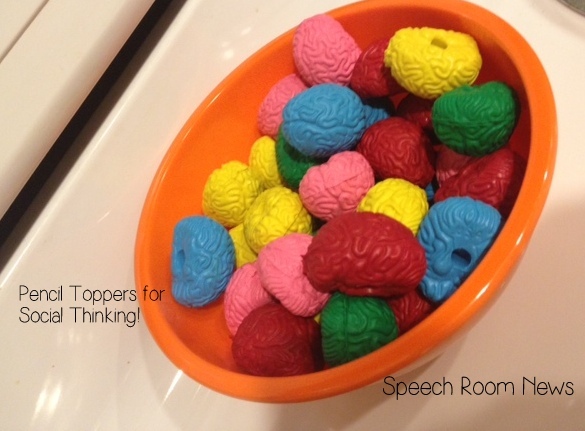 A few other new items I ordered for this year include these awesome brain pencil toppers! I’m hoping this will be a great way to be that visual reminder when kids head back into the classrooms! I think I’ll even give teachers one to put on their desks! We all need visual cues to use our social thinking! Another goofy toy I use a lot is another fidget or stressball toy. It’s a brain with eyes that bulge out! These poppin’ peepers are a great visual reminder to use while you emphasize the ‘Eyes in the Group’ idea! As you can tell, I’m into the multi-sensory materials this year! 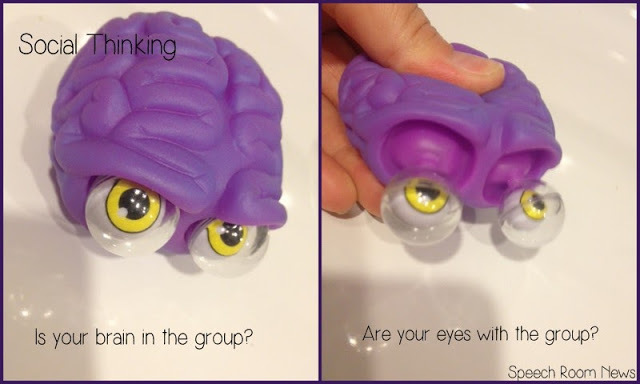 If you use Social Thinking, where do you start? How do you incorporate other materials into your speech room? I LOVE that book-it’s great. I have a brain jello mold I got on clearance last year after Halloween. I’m jealous of your squishy eye brain toy though! Will you share that worksheet?! Love this!! I’d love the worksheet too!!! Sorry Ladies, I don’t have the copyright to share that image, but you can replicate it! Don’t forget to get your capes!!! Superflex rocks!! There are several different types of banking jobs like- Bookkeepers, auditors, and accounting clerks work for banks. You must need to check out the List Of Careers and opt the best one. 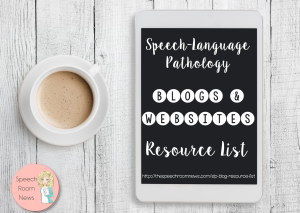 This is just what I need to get started this year!